"Best Value"! Supple, focused and distinctive, with a core of ripe plum, currant, sage and floral flavors, mingling effectively and harmoniously on the long, expressive finish. The tannins are nicely shaped. Drink now through 2020. The oak (40% new French and American) is up front, with aromas of barrel spices, cocoa and generous amounts of vanilla followed by cherries and blue fruit. 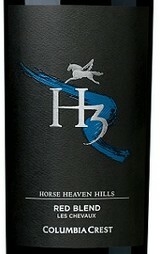 This wine is velvety in feel, displaying a mixture of fruit and barrel that carries through the finish. The oak influence is heavy but the appeal is impossible to ignore.